1.-How was the local ABV Coordinator and the support provided in-country? Rafael was great! He made us all feel welcomed and helped answer any questions we had. He was very caring and went out of his way to help us in any way he could. At the program: In the pharmacy, there were many more medications than I expected there to be! I have worked in the pharmacy in other countries and the pharmacy here exceeded my expectations! In the clinic, I was very surprised to see that each patient had to bring their own supplies, including gauze, tape, cream etc. At the accommodation: I was surprised at how much I enjoyed cold showers! It is VERY hot here so the cold showers are very refreshing. 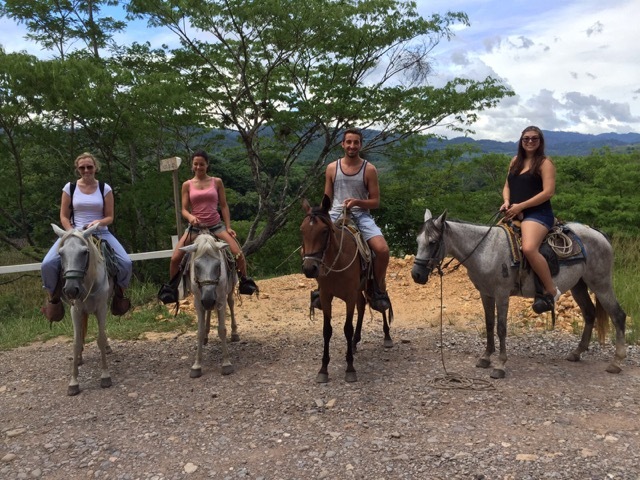 About the country: I was surprised at how beautiful Honduras is! 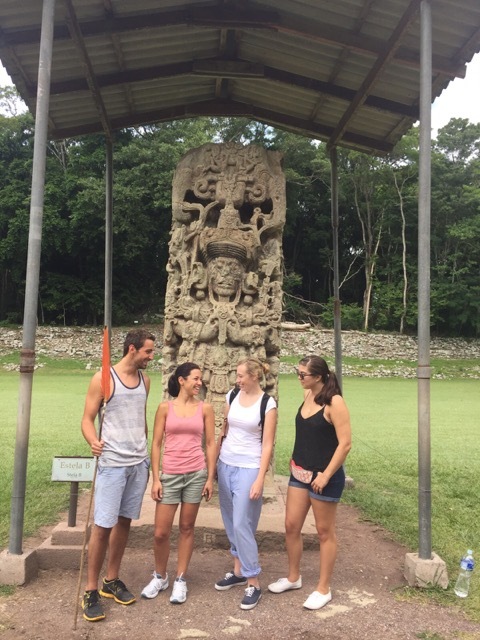 On weekends I was able to visit Copan and Utila and they were amazing! At the program: The most difficult to experience were some of the cases I had while working at the hospital. Working in the medical field always has ups and downs, and there are far more people you can help than people you can´t. At the accommodation: I didn´t really think there was anything difficult to experience at my accommodation. I loved living with the other volunteers and our host family was amazing! The country: Most difficult to experience about the country is the poverty level in some parts. People in Honduras work very hard, long hard hours for very little money. Clothing: It is hot!!!! I wish I would have brought more shorts. Also, bring many pairs of scrubs! You need two pairs a day in order to work in the hospital. Also, bring clothes to go out because sometimes the volunteers go to local bars/dancing. 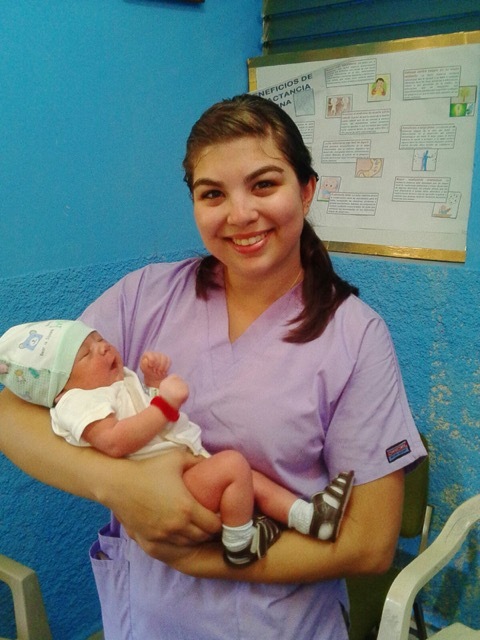 Donations: It is required that you bring your own gloves, medical boots, and head covers in order to go into surgery. There is also a great lack of supplies here so anything you can bring is very helpful and appreciated!! Weather: It is unbearably hot sometimes, and the power often goes out! Be prepared to sweat a lot! Bring cooling/gym towels. a.- It is not necessary to spend a lot of money but it is definitely nice to be able try different local foods, buy souvenirs etc. The thing you need the most money for is to do excursions on the weekends but it is definitely worth it!! It is also better to take money out of the atms with a checking card than to bring a lot of cash! b.- I was extremely nervous to travel alone and I wasn´t sure what to expect. If you are considering volunteering with a broader view, DO IT! You will not regret it!! I graduated with two degrees, one in chemical science and one in social work. I love international medicine and I was looking for an opportunity to learn alongside doctors and pharmacists, while helping local people. This has been one of the best experiences of my life! I felt very safe here! My host family was very helpful and I truly enjoyed staying here. 7- What was your favorite memory of this trip? Program: My favorite memory was definitely working in the hospital. 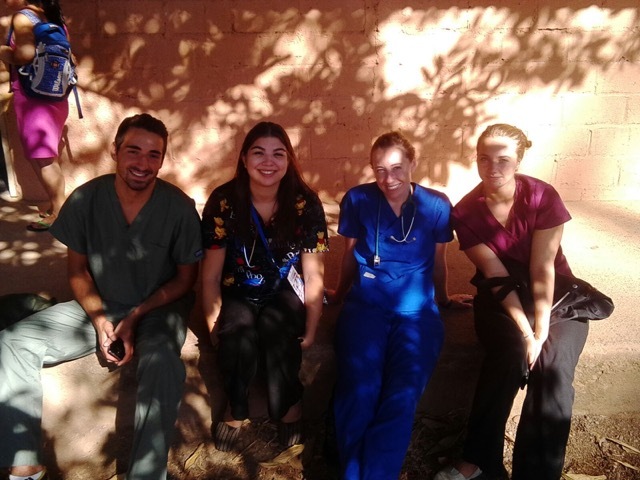 I was able to shadow doctors and observe surgeries. It was great! Country: My favorite memory of Honduras was going to Copan. The city is amazingly beautiful and the ruins were incredible. 8.- How was the ABV USA support prior traveling? All of my questions were answered and they were very good about giving me necessary information. The website was very helpful! 9 – Are you willing to speak to other potential ABV volunteers? Of course! I was fortunate enough to have had the opportunity to speaking to someone prior to my trip and it really eased my nerves! I am always available to answer questions. 10 – Can you tell us how did you find or know about A Broader View? 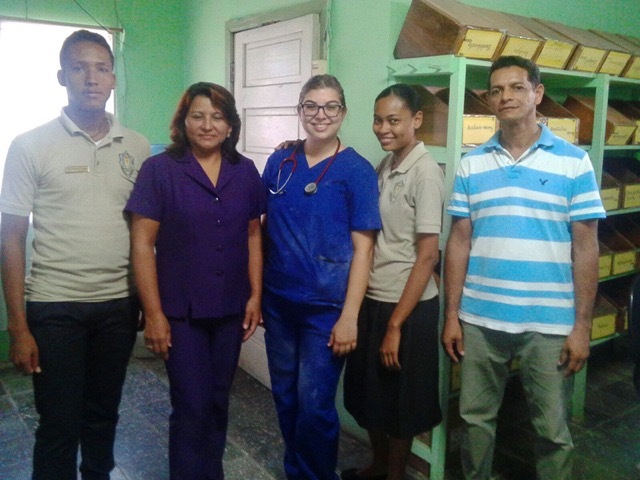 I was looking for a program in Honduras specifically, where I would have the opportunity to work in a pharmacy to gain experience before I start pharmacy school.